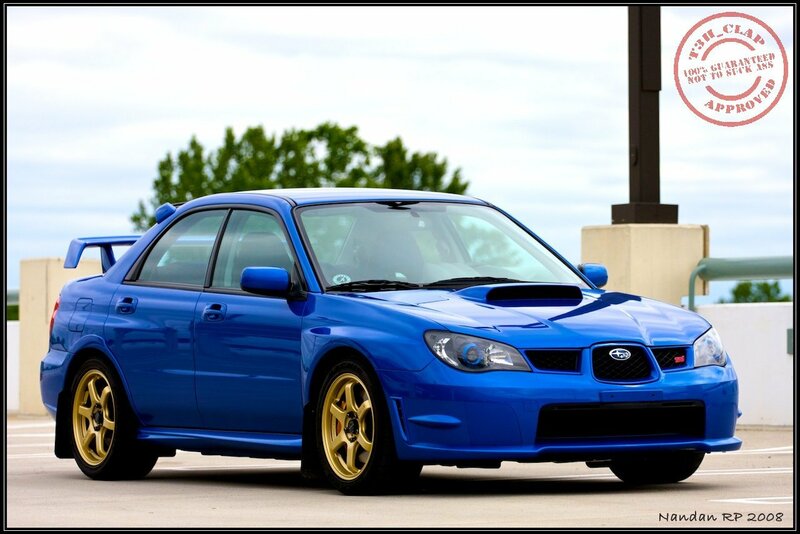 Chrisâ€™s car has a very special, very rare set of Prodrive wheels – the only set in this specific size/color in the states. 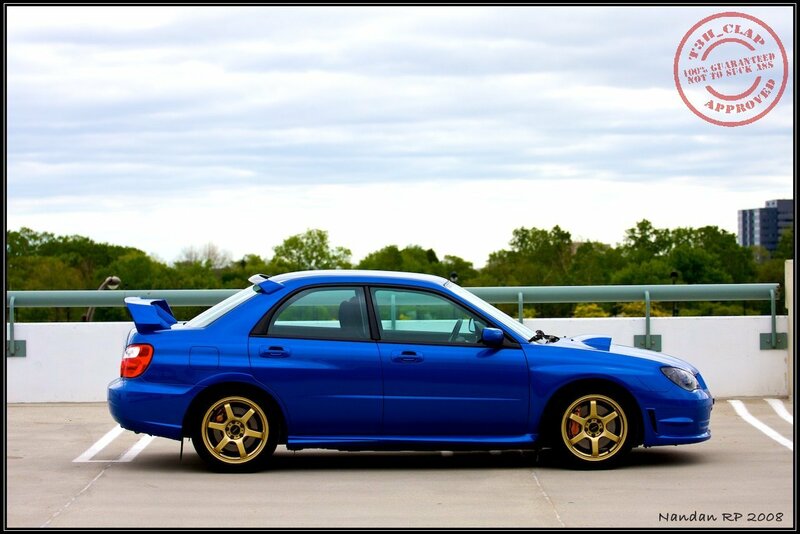 The suspension is one of the most sought after setups in the Subaru community, not only because of its quality parts and design, but because it excels at nearly everything it does. Chrisâ€™s thoughtful and planned modification path has yielded a car that not only looks amazing, but also handles and performs with the best of them. Now he just needs to tighten the nut behind the wheel. I had a chance to bounce a few PMâ€™s back and forth with Chris prior to writing this article and here is what he had to say during the T3h_Clap interrogation. T3h_Clap: What is the Current Suspension Setup and Settings? T3h_Clap: Any future modifications planned? Boony: I need to do something with brakes and get corner balanced. And, at some point, I should do some power mods. T3h_Clap: What is your Current Wheel and Tire Setup and Settings? T3h_Clap: What are your planned uses for the car? Boony: Daily driving, open track days, and the occasional road trip back home to the South. T3h_Clap: Did you set your car up for anything specific? 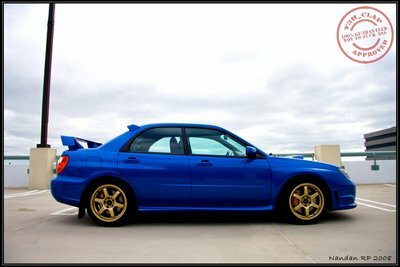 Boony: My car was intended to be 95% daily driver and 5% track day toy. I do not autocross at all, nor do I drag race. Road courses only. To that end, I wanted to run slightly wider rubber (I think 255 is as good a compromise between street/track as I can get) and keep some style. 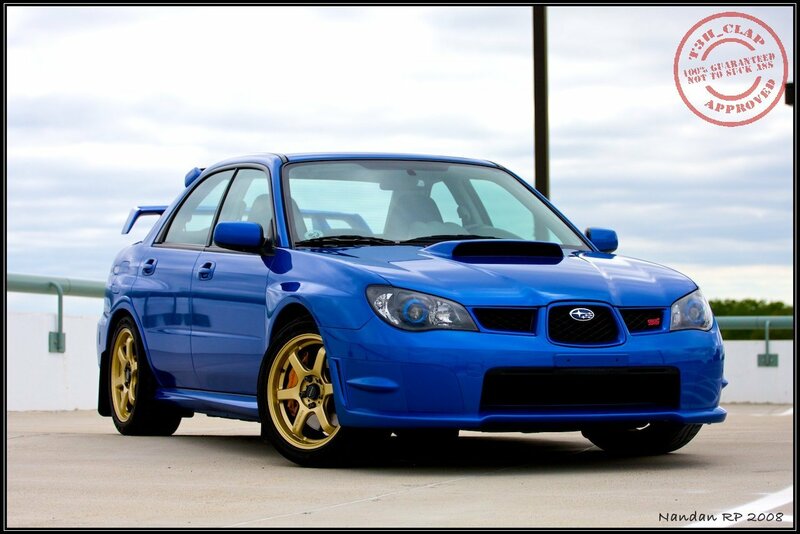 I needed the car to be a bit more neutral while still retaining just a bit of understeer for safety and because the car is far more capable than am I. I chose the coilovers for their ability to excel on the street and at the track. Even though stiff springs would increase track performance, the car is primarily daily driven. It is currently more comfortable than stock despite having spring rates 50% stiffer than stock. 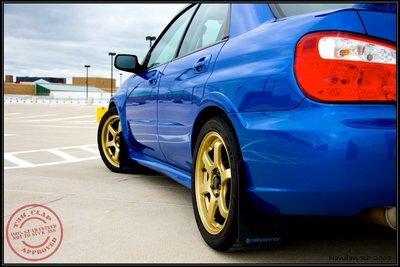 T3h_Clap: How are your tire clearances with the TiC Coilovers and the Prodrive wheels? Boony: Tire-to-strut clearance (actually the lower perch) is only enough to squeeze my finger between them. Itâ€™s damn close. Without the camber bolts at full positive, there would be contact. I am considering a 5mm spacer and extended studs for next year, but am still researching my options. It would allow me to run more negative camber. T3h_Clap: Last but not least a list of sponsors/vendors/people you want to mention/thank. 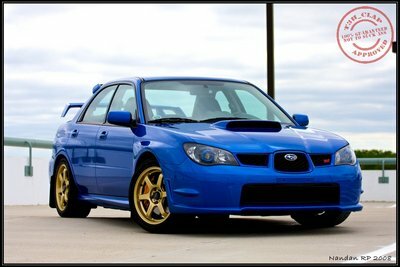 IWSTI.com, as it is an invaluable resource on these cars without the boy-racer attitude. 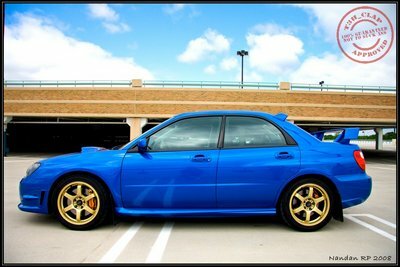 GarageSpec.com and TurninConcepts.com for their help getting the wheels and suspension hooked up. CarLabs, for such an awesome, effective brace. Penguin Garage and T3h_Clap for help getting everything exactly right, and for the spoiler. AutoEurope in Berkely, MI, for mounting my tires without screwing up my wheels and for balancing them properly, and my super-secret alignment guy. Yes, I was aligned manually with string, a ruler, slip plates, and a spreadsheet. Nandan, my photographer, for the amazing photos. Lastly, all my friends in the community who have helped me learn, modify, and tweak my car – thanks to you all. Since this Interview, Chris has replaced his RT615s with a fresh set of Bridgestone RE01Rs in the same size (255/40/17). And yes, the clearances are still tight. Chris will be tracking his car over the summer. All my pictarZ has t3h clap! OH NOES! 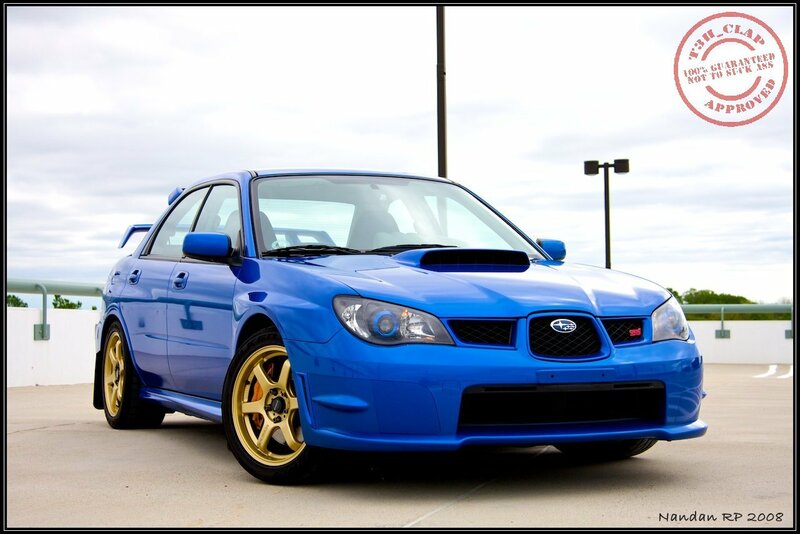 That is the most eye pleasing wrb Sti i have ever seen.Well done!-007 sti owner. love the WRB on gold. hawt car, amigo!!!! 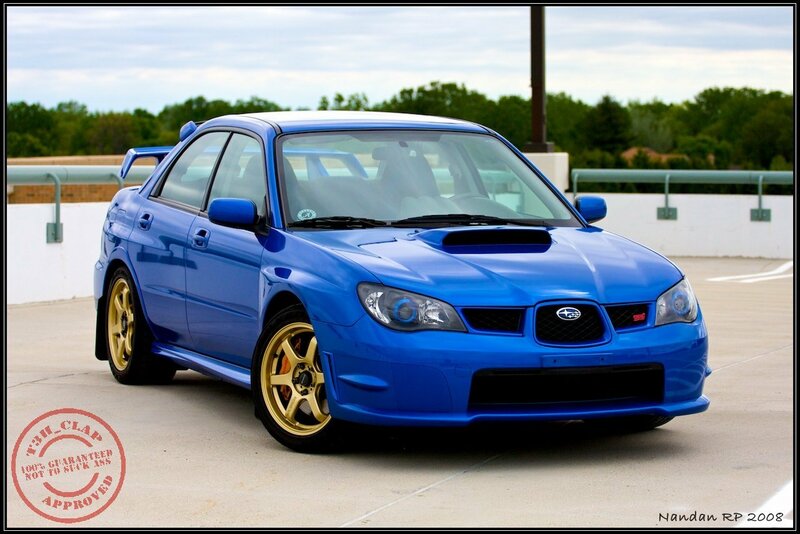 what kind of head lights are those?I like them blue rings around the HID..where did you get yours at?